So early in the morning, I heard my phone's sms ring. And since I'm still half asleep, I didn't pay attention to the message. I told myself I can read it later once I'm fully awake. And after 20 minutes, I decided to take a look of who sent me a message via yahoo sms. 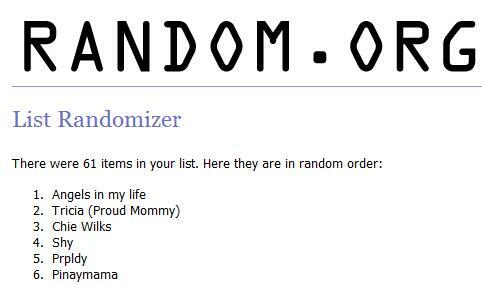 It was Momgen telling me that I won in her contest/giveaways and this time it's the Grand Prize. I never won such contest/giveaways every whenever she have those. But this time, I say I'm lucky enough to won all those prize and I'm super excited to got it. 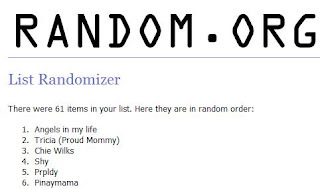 I gave her again my home address so she'll be able to send the prizes. I'm so thankful and went to visit her website immediately after I got up today. To make sure that I'm not delusion about anything.. lol.... And there you go. 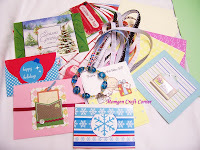 Momgen thank you so much for the contest and the prizes and for the Momgen Craft Corner. This is the place you should visit if you need to buy some nice craft stuff. Wow galing congrats ate novs.